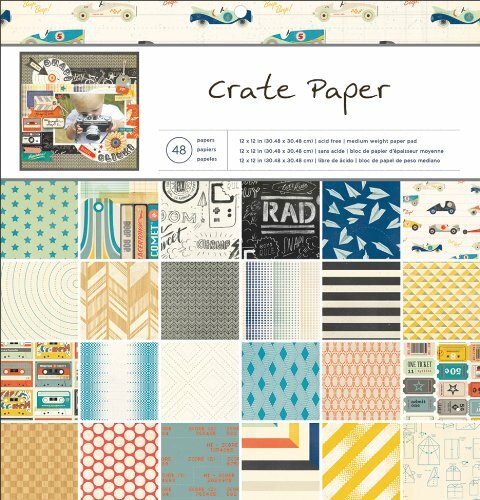 This past weekend, while, ehem, not being able to control myself and purchasing those Heidi Swapp Project Life core kits that everyone is going nuts over (at least I managed to split each kit and sell off 3/4 of them to cover most of what I paid), I picked up this hot buy Crate Paper Boys Rule 12x12 stack. I love the colors and patterns and wanted to make a page right away with it. 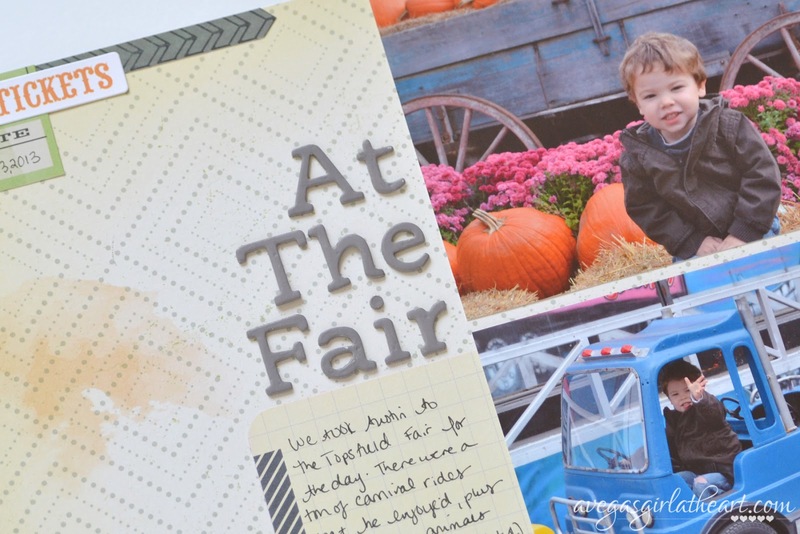 We had taken Austin to the Topsfield Fair last fall, and I knew I had a few ride photos that would go nicely with this line, so I went to work. This layout is based off of one of Shimelle's sketches. I didn't embellish much on this layout, rather I used the paper stack to add bits to the page. The arrow paper in this stack is probably my favorite, and I loved cutting out a section and adding it as a mat behind the three smaller photos. 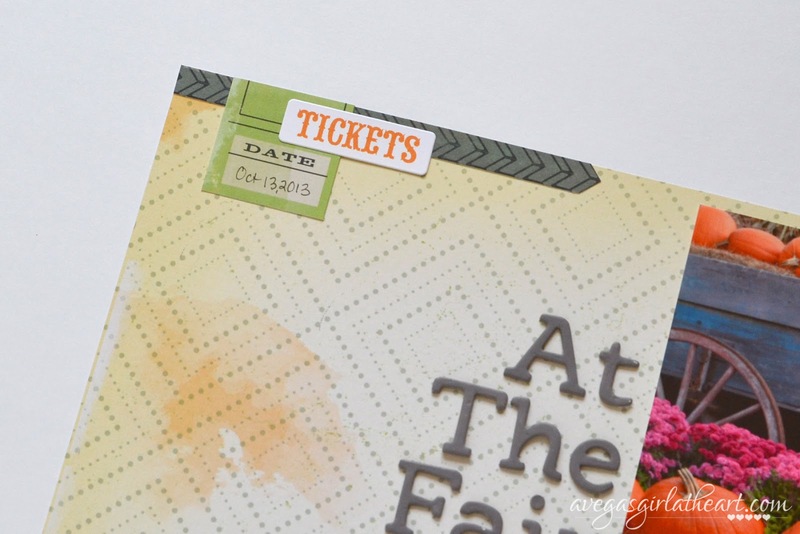 I also cut out some of the ticket paper and a strip from the black patterned paper for a border. 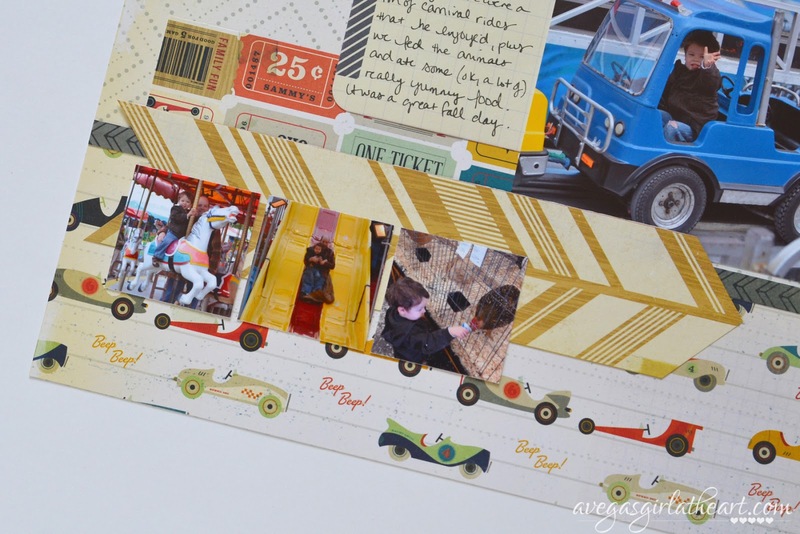 I used a card from the Amy Tangerine HSN exclusive Project Life mini kit for my journaling. More of the black paper at the top, layered with a tag from the paper stack, and a "tickets" sticker from the October Afternoon Midway collection. The alpha thickers I used are the American Crafts Roster Alpha. Simple on the embellishing but bold on the patterns. I loved working with this paper stack! Gorgeous layout! Thanks for sharing. Can you share where you are buying/selling PL kits? I have debated buying a partial HS kit vs an entire kit, but I am not sure where people are selling them that 2peas closed. Sorry I didn't click reply - see below comment! I know that there is a Project Life Shop and Swap Facebook group but I find it really busy. I just put mine up on Instagram and sold off 3/4 of each kit in about 30 minutes. Then I have the person email me, and I send them a PayPal invoice. Thanks! Good to know about the FB group. I will have to take a look. I was wondering how I missed your Instagram post....how was I not following you already?? I guess it had flown under the radar with the blog and FB. Situation fixed now :). LOL, no worries. :) Definitely check that FB group, people are putting up partials often. You just kind of need to be right on top of that group to grab them. 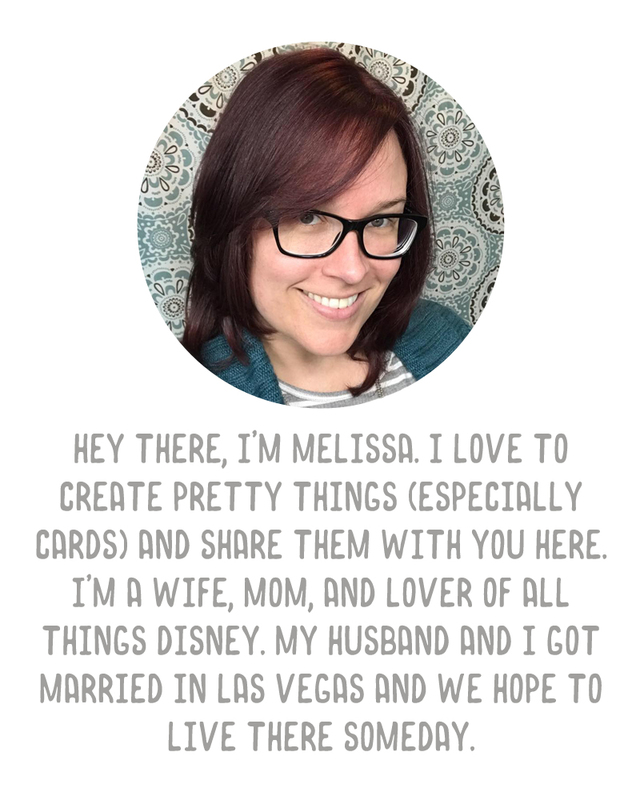 Great traditional layout Melissa. 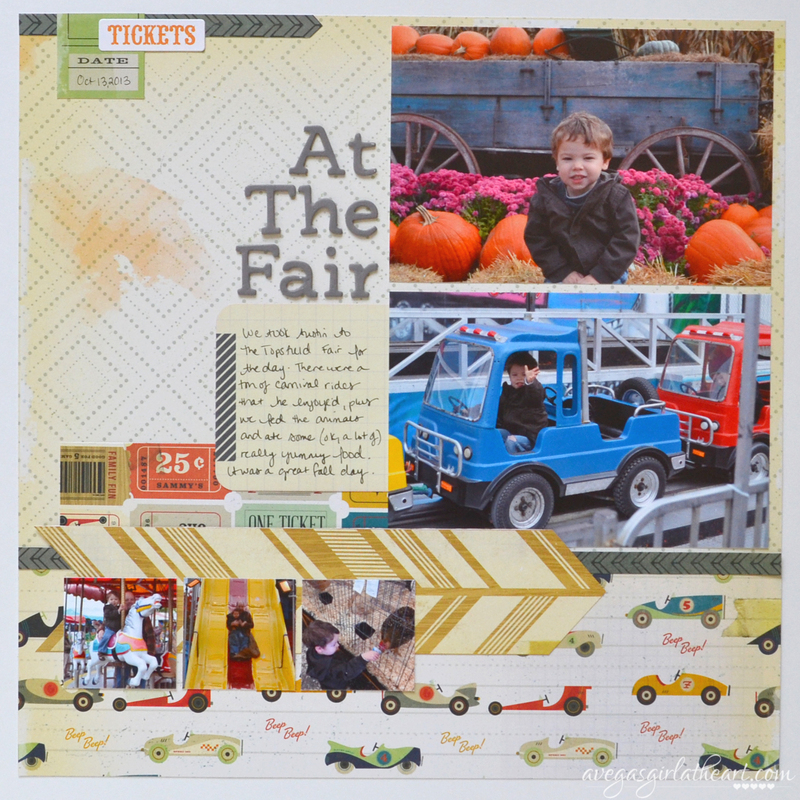 Love the Crate paper and it looks like Austin had a great time at the fair. On another note...........I just love the whimsy of Heidi Swapp products and am so looking forward to finding the PL kits in my LSS. Thanks for sharing your LO and the B-day cards are lovely. Thank you! I know I just couldn't resist the Heidi Swapp kits.